From one of literature's finest storytellers comes an enchanting tale of secrets, the supernatural-and fatal attraction. Renowned English surgeon Arthur Burdon is engaged to the beautiful Margaret Dauncey, who is studying art in Paris. The match is met with approval from all sides, and everyone is happy-until the mysterious Oliver Haddo enters the picture. 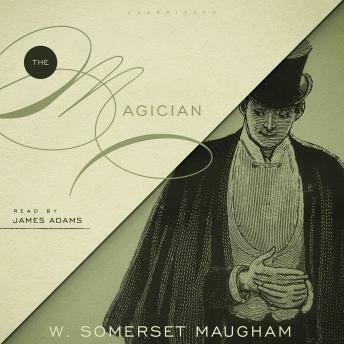 Both Arthur and his fiancée dislike the enormously fat and eccentric Oliver but are fascinated by his stories of black magic, by his demonstrations of a power that seems inhuman. And while they scoff at his boasts, their dislike turns to loathing. A month later, Margaret disappears. The note she leaves behind begins: "When you receive this, I shall be on my way to London. I was married to Oliver Haddo this morning." Why? How? What mysterious power had the Magician used? What further revenge might he be plotting? The answers are revealed in this hair-raising fantasy.